When we heard the news that chemicals industrialist Jim Ratcliffe was rumoured to be drawing up plans to revive the ‘old’ Land Rover Defender, we assumed he was a well-meaning dreamer like the rest of us. Sure, that’d be amazing, but Land Rover wouldn’t allow such a thing, would it? No, it wouldn’t. Shortly afterwards, Jaguar Land Rover confirmed it had no intention to sell the rights to make the Defender to anyone. Why would it? And, when Ratcliffe’s firm Ineos declined to comment on ‘the Defender story’, we were sure it was over-exuberant journalism, at best. ‘INEOS has today confirmed that it has commissioned a full feasibility study into resurrecting the Land Rover Defender and held exploratory talks with Jaguar Land Rover. ‘INEOS has committed to treating the Defender’s much loved exterior shape ‘like a listed building’, making as few modifications as possible. However, the company would substantially upgrade much of the vehicle engineering with the goal of matching the Toyota Land Cruiser for reliability but keeping the Defender’s superior off road qualities. The new vehicle would be capable of meeting all the latest global safety and emission standards. 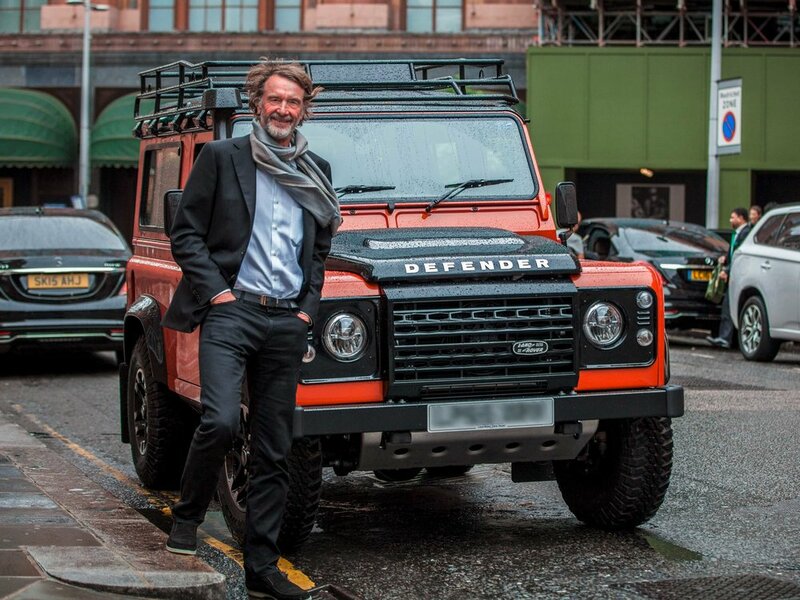 ‘I am a great admirer of the Land Rover Defender’, says Jim Ratcliffe, INEOS Chairman, ‘and I think it can be upgraded to be the world’s best and most rugged off roader’. ‘Should the project go ahead, INEOS hope to make the new model in the north of the UK, preferably near a port facility. ‘INEOS believes its manufacturing expertise and its commitment to excellence would serve it well in this latest endeavour. The Ineos feasibility study will leave no stone unturned, but the vision is for whole vehicle manufacture from scratch, at a rate of around 10,000-20,000 vehicles per year. Recreational, agricultural and military customers are in their sights, particularly across Africa and the USA. Crotty believes the ideal is for JLR and Ineos to co-operate on the project, but reckons if co-operation wasn’t forthcoming Ineos would be financially better placed to re-tool the Defender for production than JLR itself – even though it has never been involved in motor manufacturing before. Wouldn’t there be copyright implications of doing that? Ineos thinks much of the design is now old enough not to be bound by such things. If the feasibility study ticks all the boxes, production would be at least two or three years away. The report is due to be complete by December this year, so any Ineos-built vehicle is unlikely to hit the road before Land Rover’s own Defender replacement. And, it couldn’t be called Defender. ‘Defender will always be Land Rover's icon. Jaguar Land Rover has stated its intention to continue the Defender lineage with an all-new model. We can confirm there are no plans to restart production of the previous generation Defender and we have no business arrangement with Ineos. The Defender: you didn’t think it’d roll over and die that easily, did you?